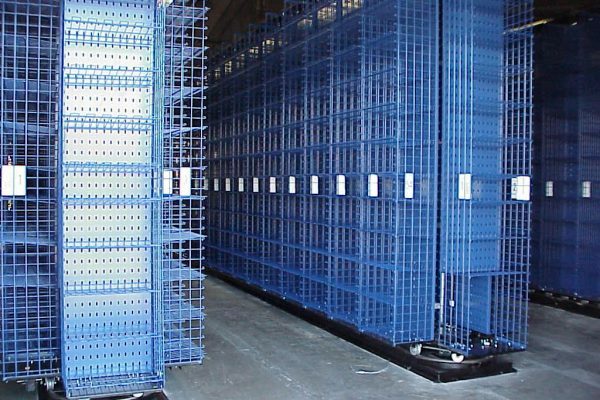 White Horizontal Carousel System is an automated storage and retrieval device consisting of a series of linked bins mounted on an oval track. When activated, the bins rotate to bring the required items to the operator or an automated picker. The White Horizontal Carousel System can be controlled from a simple foot switch, to push-button microprocessor controls, to software controlled systems. White’s integrated horizontal carousel systems can be a major contributor to a company’s ability to create and sustain its competitive advantage. As the inventor of the horizontal carousel — and now into its 3rd generation of product innovations and improvements — White produces the widest selection of carousels and software solutions. Improved customer service- System’s flexibility and efficiency expands your capacity to provide your customers what they want, when they want it and how they want it. Integrating inventory control software, light-directed picking, and bar code scanning assures nearly 100% accuracy. White’s software enables batch picking, hot pick flexibility, faster replenishment and reduced shortages. Transactions are high speed, tightly controlled, reliable and customer convenient. Increased efficiencies often allow companies to recover their investment within 16 months. Picking rates up to 950 lines per operator, per hour. Items are brought to the operator. Eliminates walk and search time. Minimizes reaching bending and searching. Up to two-thirds of previously required man-hours can be saved. White’s software automatically queues orders, batches picks and prepositions the carousels for picking. Companies have reclaimed 75% of otherwise wasted floor space. Carousels can be placed next to each other eliminating wasted aisle space. An assortment of bin heights and widths, instantly adjustable shelves and tiered carousels further maximize storage density. Orders can be prioritized by computer based on shipping times. Increases ability to ship more orders in a day and extends same-day order shipment response. 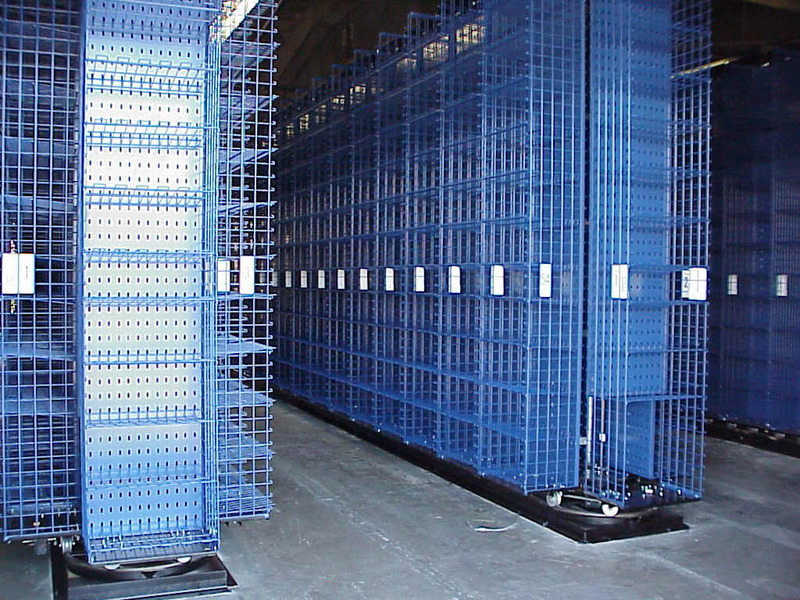 By providing accurate and timely inventory data, both inventory levels and shortages can be reduced dramatically. 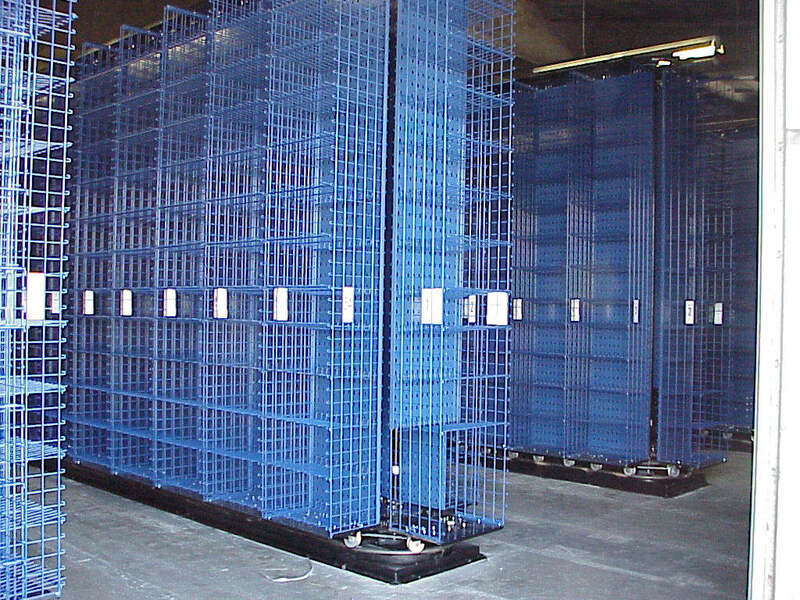 Durable and well-engineered, White’s carousels provide nearly 100% uptime. Can be interfaced with most inventory management software, WMS, ERP, MRP systems that best meet your business requirements. White has an entire business group dedicated to writing and supporting software solutions. Starting with its invention of the top-drive carousel, White has produced a continuing stream of new designs that have dramatically enhanced productivity levels and have assured the correct equipment for virtually every customer application. Bottom drive units offer heavier duty performance and capacity, longer life, less maintenance and ease of serviceability. Top drive units are available for lower capacity and durability requirements. Dual drive units are designed for larger live loads, heavier duty cycles and allow precise bin positioning. 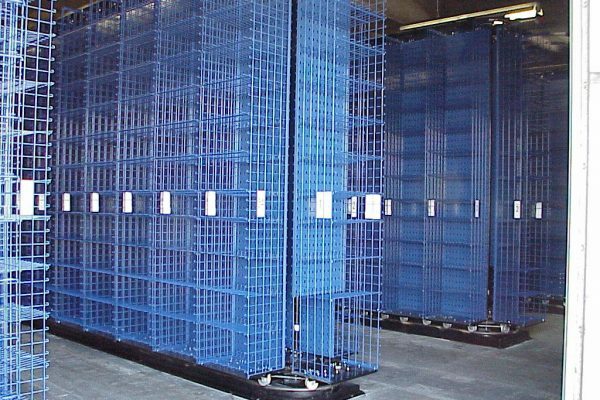 Twin bin carousels double bin locations, and selectivity, and can reduce the number of carousels and workstations needed. Robotic carousels integrate inserter/extractor devices to provide automated discrete case, high speed buffering and consolidation. 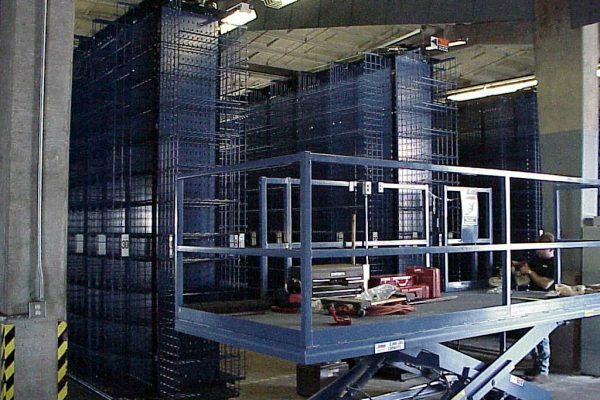 Pallet carousels are used to handle pallets, for building mixed pallet loads, picking, work-in-process (WIP) and buffering. OneTouchDistribution.com carousel system combines the benefits of A-frame speed, with flow rack replenishment, and pick-to-light accuracy. 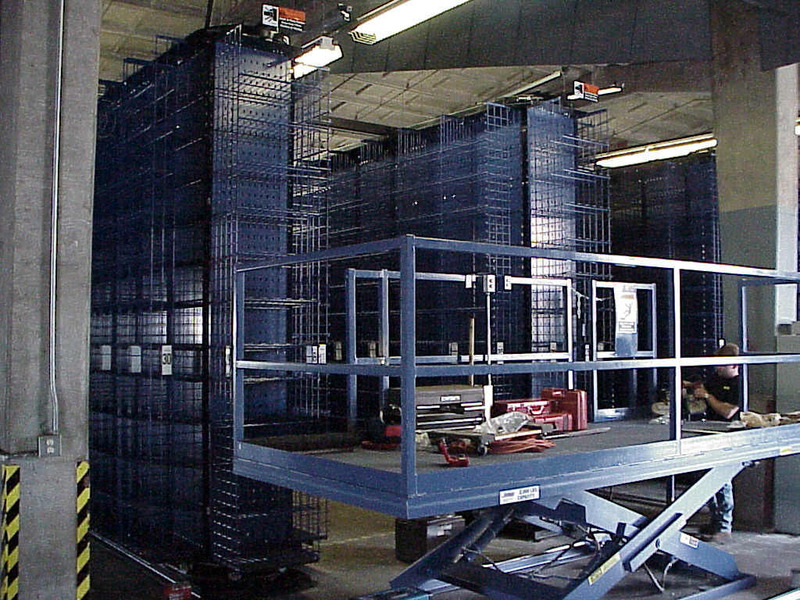 The system combines picking and consolidation into one very efficient process.